I've never really done and unboxing before as I saw no need for most reels found in the market. There was always some resource on them whether in the form of tackle reviews, videos and so on. That was not true for the Daiwa Ishidai Genpaoh 40 though. There were only bits and pieces on the Internet and not even any promotional videos and information. I'm going to be using the Genpao for night bottom fishing (cracking heavy sinkers) so don't ask me about using this reel for conventional jigging or slow fall jigging. You might wanna take a look at the Reel Spa (Calvin) video in which an Ishidai Genpaoh is being tuned up to do those. The reel should also be an excellent choice for wreck fishing due to its drag (15kg) and also very high retrieve per crank (111 cm). And so below goes my amateurish attempt at an unboxing! I've included the reel specifications in the video as well. The last time that I fish Tuas waters on an offshore trip was 10 years back. Back then, I went with this fishing charter boatman called “Ah Poh”. The boat was small and only for four passengers and had no toilet. I was very impressed by the snappers that we were hauling up though! 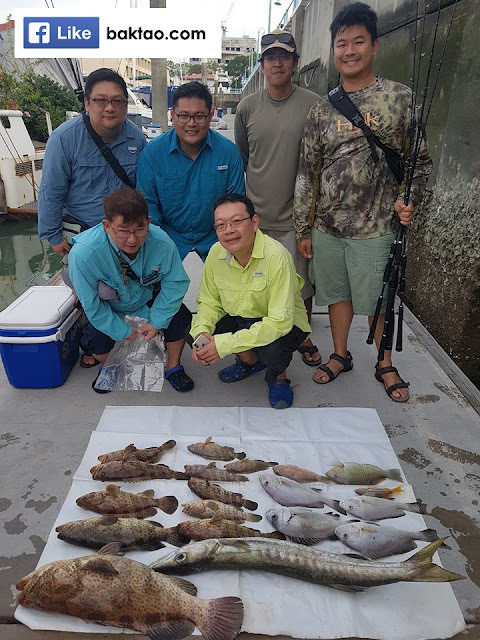 Recently, we tried this fishing charter which was very literally named as “Seacharter”. The fishing charter has three boats to choose from (full details below) and we chose SC-01 which was skippered by Daniel. First thought was when I boarded the boat was that this was a very low boat and was perfect for some light offshore baiting. As for the fishing action, spots were mostly rocky and coral patches near breakers, channels and near docks/jetties/wharves. Action was quite consistent and the species that seemed to appear more were groupers. I caught four groupers that day (3 on Kurau Deep 150g jig and 1 on bait) and I was pretty surprised that when aggressive, groupers will hit jigs that are even 10m away from the bottom. I had two fish that hit way above the bottom and even hit the jig when it was stationary (I was busy talking and paused). 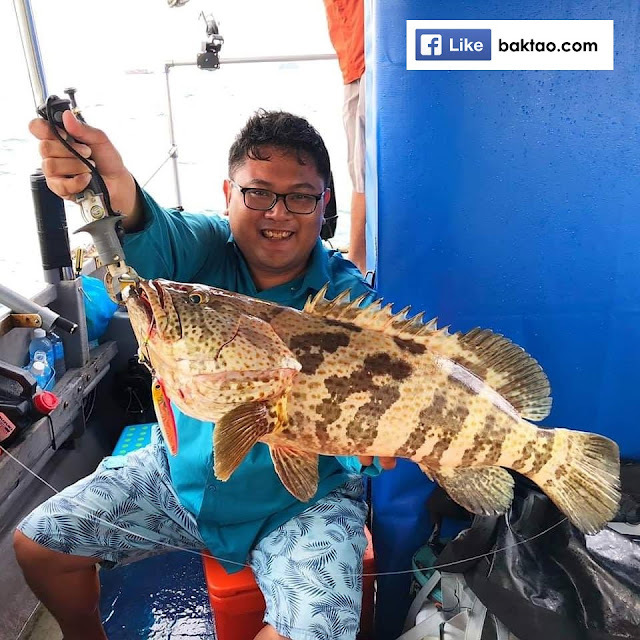 In my opinion, when the grouper are being very aggressive, action is not the most important aspect and the most effective thing you can do is to constantly keep covering ground as the boat drifts. Another important aspect is using big jigs or baits to ensure that your presentation gets noticed by the fish. An awesome 5kg specimen taken on CTS custom 12-25lbs, 2011 OJ1500PG, Kurau Deep 150g. Technique used was long fall pitching and direct bottom pitching. Not much skill needed to apply this technique. Just reel up and drop the jig back down. Slow jigging was very effective too and Ah Biao landed some groupers and barracudas. All in all, quite a comfortable boat, nice berthing/launching place and a very friendly charter captain. Will surely go again. Details: 38ft length, wide 7ft fiberglass hull open deck with shelter and built in toilet, twin Suzuki 140hp. Details: 28ft length, 6ft wide inboard engine 200hp. Details: 26ft length, 6ft wide outboard motor 140hp. Note: Live prawns, cooler boxes and mineral water are included. Please check latest costs with Daniel at +65 9232 1688.